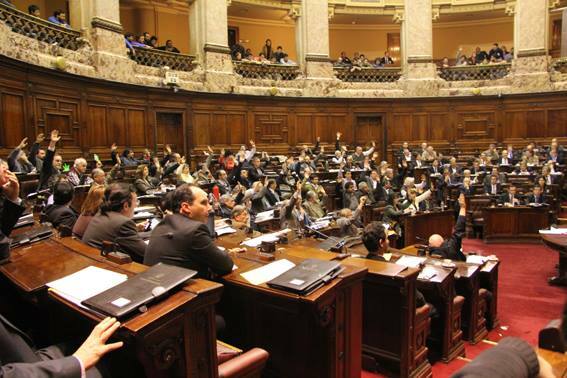 The Uruguayan Parliament yesterday voted to pass a Bill that will legalise and regulate the production, sale, use and personal cultivation of cannabis for non medical use by adults. The Bill will now pass to the Senate for a vote (and possible amends) in October before returning to the Congress before final approval from the Board of Deputies. Although these are potential stumbling blocks, the Congress vote was 'the big one' and it looks highly likely that the Bill will now pass into law later in the year. At this point Uruguay will be the first national government in the world to have voted through a new law to legalise and regulate cannabis - or indeed any drug prohibited by the UN drug conventions. To this extent the change differs from the groundbreaking developments in Washington and Colorado, where the legalisation measures were passed by popular vote (via ballot initiatives), with both local State and Federal governments firmly opposed. By contrast, Uruguayan public opinion is not yet behind the legalisation move, with Uruguayan politicians tackling drugs by showing something alien to most governments around the world: leadership. The State will assume control and regulation of all activities relating to import, export, planting, growing, production, storage, commerce and distribution of cannabis and its derivatives. For scientific research or medical use. These must be authorised by the Ministry of Public Health and will be under its direct control. Cannabis. This must be authorised by the Institute of Regulation and Control of Cannabis (IRCCA) and will be under its direct control. Psychoactive cannabis (THC equal or higher to 1% of its volume) will be under the direct control of the IRCCA. Non-psychoactive cannabis (hemp) will be under the direct control of the Ministry of Livestock, Agriculture and Fisheries. Domestic cultivation of cannabis for personal consumption will be permitted up to six plants and its product should not exceed 480 grams. Social clubs for cannabis growers (similar to those in Spain) will be controlled by the IRCCA. They may have a maximum of 100 members and may plant a maximum of 99 plants. Cannabis commerce licenses will be given to pharmacies authorised by the Ministry of Public Health. The authorised pharmacies will require users to present either a medical prescription or they must be included in the registry of users. All unauthorised cultivation must be destroyed with an intervention by a judge. All unauthorised production, importation, exportation, transit, distribution, and sale will be penalised with 20 months to 10 years imprisonment. Purchase for personal consumption will be understood to be up to 40 grams of cannabis per month. The IRCCA will have a register of users, home growers and membership clubs. The registry will be free and will solely be used to ensure traceability and control of cultivation and use. The information will considered confidential data, conforming to the associated norms in article 18 of Law N° 18.331, of August 11, 2008. The National Integrated Health System (SNIS) must implement policies pertaining to the promotion of health, the prevention of problematic use of cannabis, and provide adequate advice, guidance and treatment for problematic cannabis users. In cities with more than 10,000 inhabitants, mechanisms will be installed for Information, Advice, Diagnosis, Referral, Attention, Rehabilitation, Treatment and Integration of those affected by problematic drug use. These will be managed by the Junta Nacional de Drogas, which can sign agreements with departmental and municipal governments and NGOs. The National System of Public Education (SNEP) must have education policies for the promotion of health and the prevention of problematic cannabis use from the perspective of the Development of Abilities for Life (Habilidades para la Vida) and in the framework of risk management and harm reduction policies. These education policies must be included in the curricula in Primary, Secondary and Professional Technical Education, with the aim of preventing the harms produced by drug consumption, including cannabis. In the “Prevention of Problematic Drug Use” included in the curricula, special spaces will be given to driving education and traffic accidents caused by the consumption of drugs. All forms of publicity, indirect publicity, promotion or sponsorship of psychoactive cannabis products will be prohibited including in all types of media: written press, radio, television, cinema, magazines, posters, pamphlets, emails, etc. The Junta Nacional de Drogas must realise education, outreach and awareness campaigns on the risks, effects, and potential harms of the use of drugs. The measures put forward in article 3º of Law Nº 18.256, of March 6, 2008 on protection of public spaces will be applied. Those under age 18 will not be permitted to access psychoactive cannabis for recreational use. Violation of this will be penalized according to Decree-Law N° 14.294, in the drafting given in Law N° 17.016. Driving of any vehicles when the THC level is above the amount to be established will not be permitted. The Junta Nacional de Drogas will provide the necessary training, advice and supplies to officials especially designated to this, from the Ministry of the Interior, Ministry of Transport and Public Works, Ministry of Departmental Governments, Ministry of Municipal Governments, and Ministry of National Maritime, with the aim of realizing the aforementioned control. These tests will be via blood tests or other clinical or paraclinical tests, via the SNIS (National Integrated Health System) providers. Drivers that violate this limit will be penalised by the sanctions established in article 46 of Law 18.191 of November 14, 2007. In addition to regulating cannabis, the IRCCA will be in charge of promoting actions relating to risk and harm reduction associated with the problematic use of cannabis, according to the policies defined by the Junta Nacional de Drogas and in coordination with national and departmental authorities, as well as monitoring compliance. The IRCCA will coordinate and be linked to the Executive Power through the Ministry of Public Health. The Junta Nacional de Drogas will be in charge of setting national policies regarding cannabis with the advice of the IRCCA. The IRCCA will include a member from each of the following: the National Drug Board; the Ministry of Livestock, Agriculture and Fisheries; the Ministry of Social Development; and the Ministry of Public Health. The National Advisory Board of the IRCCA will include representatives from the following: Ministry of Public Health, Ministry of Education and Culture, Ministry of the Interior, Ministry of Economy and Finances, Ministry of Industry, Energy and Mining, the University of the Republic, the membership clubs, the home growers associations, and the licensees. Within the Presidency of the Republic, a Special Unit for Evaluation and Monitoring of this law will be created, comprised of staff specialised in policy evaluation and monitoring. It will be independent and will submit annual reports, which must be considered by the organisms and bodies responsible for the execution of this law. 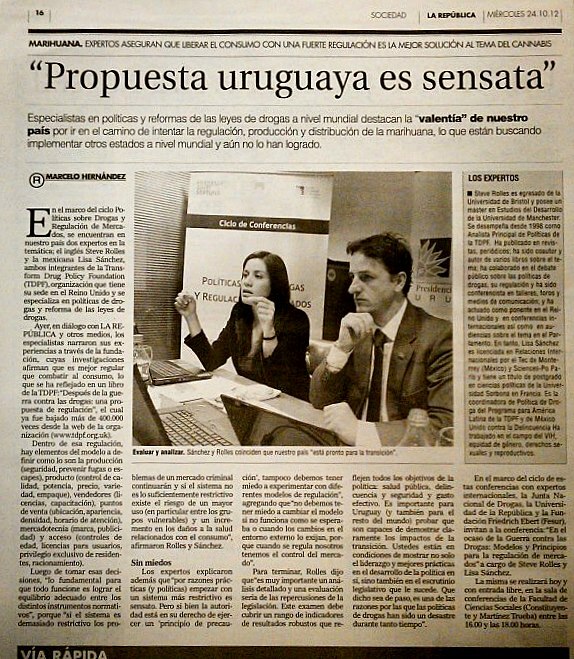 Transform are delighted that Uruguay has taken this sensible and serious approach to legally regulating cannabis, and we're pleased to have played a part in assisting the country's government in formulating the regulation framework. Our Latin American Programme Manager, Lisa Sanchez, and our Senior Policy Analyst, Steve Rolles, were invited to advise on the policy last year as one of a series of expert delegations. Hosted by the Junta Nacional de Drgas, Steve and Lisa briefed and discussed relevant issues with law makers, medical authorities, various MP groupings and committees, the full Uruguayan cabinet and prime minister, President Mujica, local civil society groups, and the media. It was welcome to see how most of Transform's suggestions have been taken on board, and whilst we don't agree with everything in the Bill (we recommended against the registration scheme for example) it is important to stress how Uruguay approached the challenge of developing it in a thorough, methodical and responsible evidence-based fashion, taking guidance from a range of local and international expertise, and involving a range of stakeholders in an open and transparent process. As well as demonstrating leadership on the international stage, they have provided a useful template for how cannabis regulation policy can and should be developed. This commitment to 'getting it right' was again reflected this April when the Uruguayan Government hosted a week long event involving a 3 day seminar and discussion on the proposals with 40 local and international experts, followed by a series of public hearings with the experts and politicians across the country. 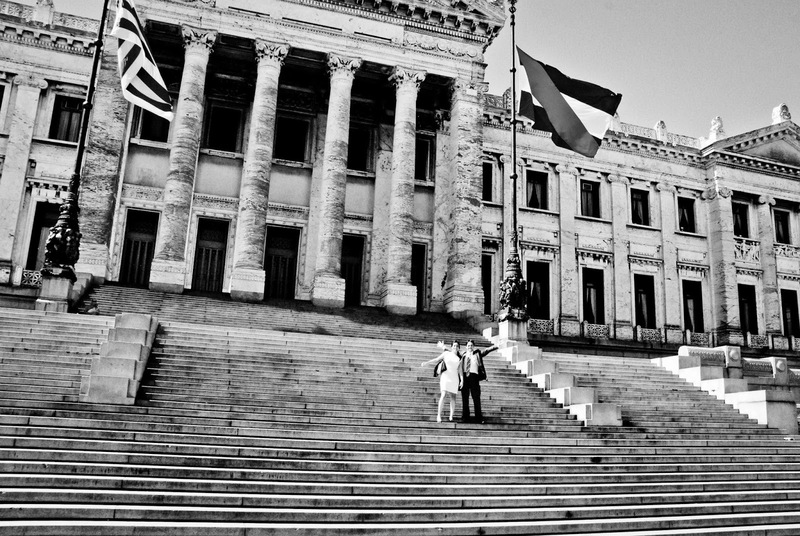 Steve was invited back to Uruguay to participate. Congratulations and thanks are due to the many individuals and groups who have been involved in this historic victory, including the heroic Julio Calzada and his team at the Junta Nacional de Drogas, the brilliant work of Regulación Responsable, The Transnational Institute Drugs and Democracy initiative, The Drug Policy Alliance, WOLA, and many, many others. Special thanks are due for the leadership and wisdom of Uruguayan President, José Mujica , and Prime Minister, Diego Canepa. 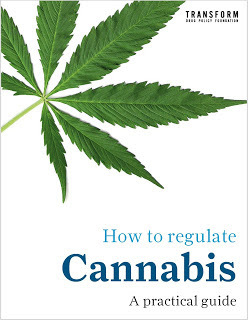 Transform's upcoming guide to Cannabis regulation. Help us make the change!